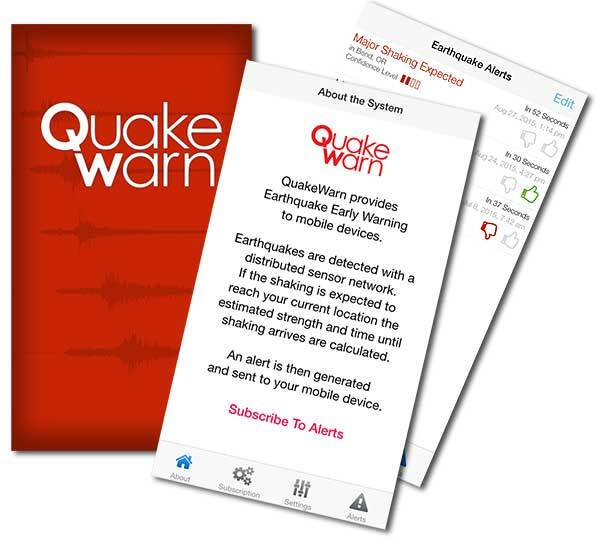 QuakeWarn is an Earthquake Early Warning (EEW) system which means it detects shaking as close as possible to the epicenter of the earthquake and sends notifications to your mobile device if shaking is likely at your location. We have sensors deployed along the Oregon coastline as close to the Cascadia Subduction Zone as possible. This fault which stretches 620 miles from Northern California to British Columbia has produced larger than magnitude 9.0 earthquakes repeatedly through history. Subscribe to our mailing list by clicking the button below and as soon as the iOS and Android apps are available we'll let you know and you can get set up for notifications. If you have any questions or want to be first in line to be a beta tester of the system send an email to info@quakewarn.com and let us know. We are also looking for locations along the coast to place additional sensors to expand our network. Since that presentation we have continued development of the seismic sensors and have updated the hardware and software running on them. We are working to deploy more of these sensors along the Oregon and Washington coast and continue testing the network and alerting systems. 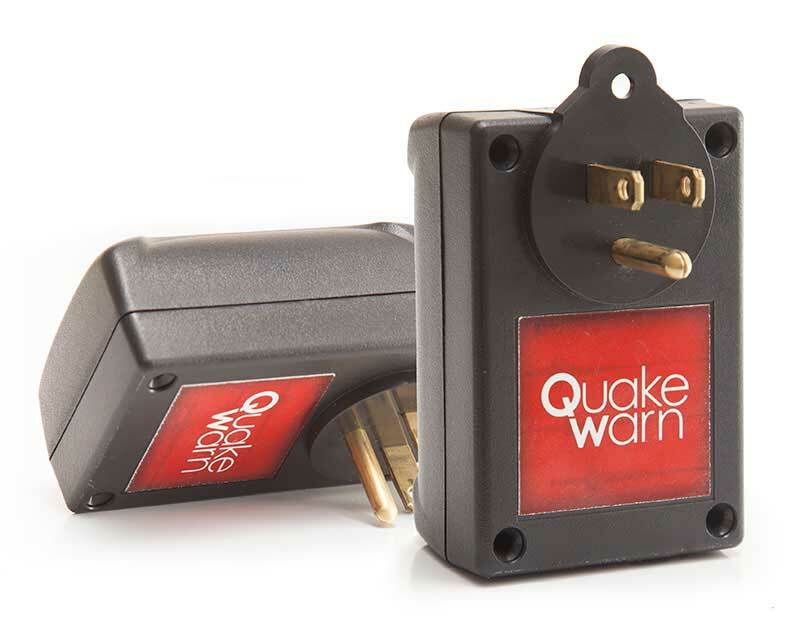 If you, or anyone you know, lives anywhere along the Cascadia Subduction Zone and might be interested in hosting one of these sensors please get in touch with me at info@quakewarn.com and I can tell you more about it and answer any of your questions. © 2019 QuakeWarn. A Dan Dawson Hosting project.